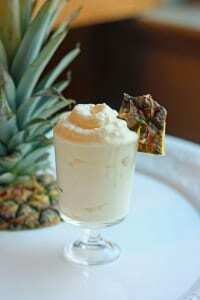 Pineapple whip you can make at home! If you have ever been to Disneyland, they have this amazing thing called a Dole Whip. It’s like a fluffy, creamy tangy pineapple treat that people actually wait in line for 30 minutes for. My sister is visiting from Texas and she loves to cook and try new recipes, and so the other day we attempted to recreate our own Dole Whip and in the process ended up making it into popsicles from our creation. And so glad we did! There are a couple of ways you can do this. You can either use crushed pineapple or fresh pineapple. We chose to use crushed since that is what I had on hand. 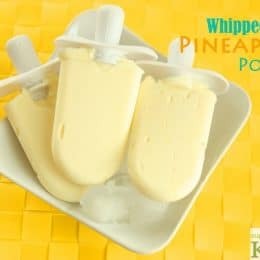 This Whipped Pineapple Pops Recipe makes quite a bit of ‘whip’, so you can cut it in half if you aren’t making it for very many people. We used 2 – 20 oz cans of crushed pineapple. Drain one can and include the juice of the other can. Whenever I buy canned fruit, I always buy ‘Naturally Sweetened’. The fruit that is canned in syrup contains a lot of extra sugar and so make sure you buy naturally sweetened. If you are using fresh pineapple, you will probably need an entire pineapple, cut up into chunks. Whatever pineapple you decide to use, place it in a high powered blender. If you like a little more tart flavor you can add the juice of a fresh squeezed lime. If your pineapple isn’t very sweet, you can add 1-2 tablespoons of your favorite sweetener, but it isn’t necessary. Blend until it is a smooth, frothy consistency. The next step is to combine with your creamy ingredient. 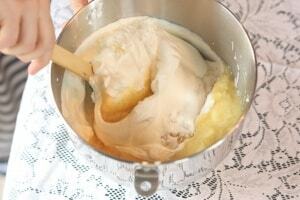 We used cream that we whipped because we were going for an extra fluffy rich texture. But you can also use almond milk, coconut milk (full fat works best) (think pina colada – yum!) half and half, or whatever you prefer. 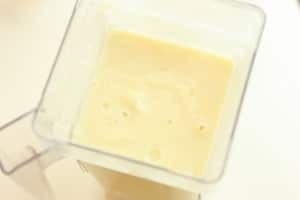 If you use whipped cream, you can put the mixture in the freezer for a bit and just serve it as a ‘Dole Pineapple Whip‘. 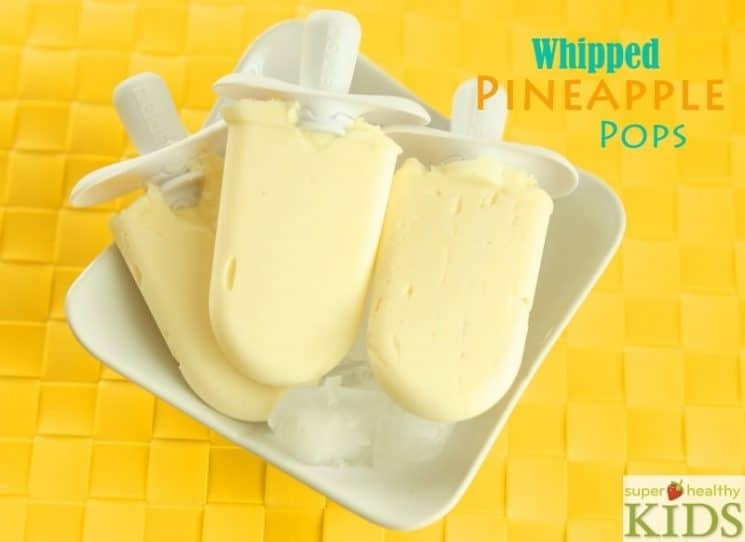 Otherwise, pour your mixture into popsicle molds and you have Whipped Pineapple Pops! 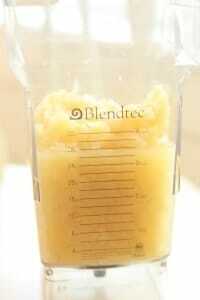 Place pineapple and lime juice in a high power blender. Blend until smooth and frothy. Pour mixture into popsicle molds and freeze until hardened. Should the coconut milk be in the can or refrigerated carton?? You can use either. The coconut milk in the can generally has a higher fat content and would be creamier – you can also whip the canned kind. But the kind in a carton is also good – just different. 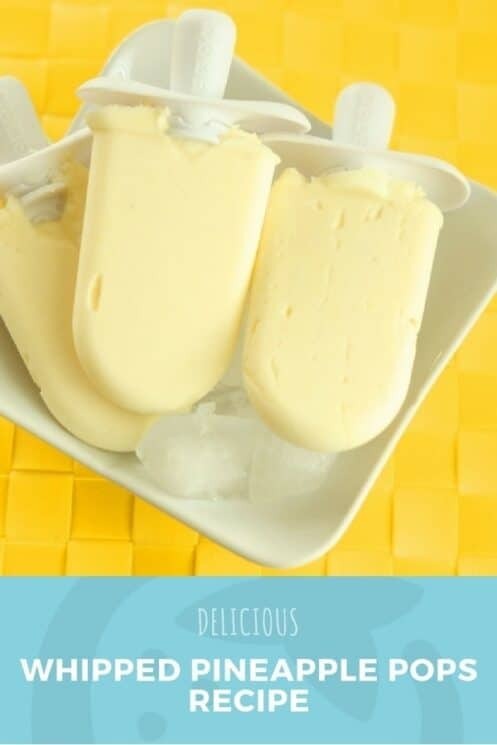 It depends on how big your popsicle molds are, but in my Zoku molds this recipe will make at least 15 pops. I actually stopped making them because I didn’t think we would eat them all. For a smaller mold you could probably get at least 25. Excellent! Big Disney Parks fan and LOVE the Dole Whip so I’m glad I found this! Can’t wait to try it! I have a fresh pineapple. Should I take the core out or use the entire pineapple? My Vitamix will be able to handle the core. You can try it with the core for sure! Wow, these look great. I don’t know how I missed them when I was at Disney. Do you think this works with any other fruit? Thanks for sharing! I’m totally going to try this! It would probably be fine with the core. If your blender is able to blend it fine enough then you probably won’t even be able to tell the difference. I’m sure it would work with other fruit, it would just be a totally different popsicle! Have you done other zoku recipes? I think my fam will love these! We have several other recipes on our site using the Zoku. Wacky Watermelon Pops, Strawberry Creamsicle, and Red, White and Blueberry Pops. They always turn out so good! If I use cool whip can I still make them into pops or only as the dole whip. And if I use half and half should I whip it first or just it as is? Thanks! You could make them into pops using cool whip – you may want to use a little less as the mixture might be too thick to pour into a mold. If you use half and half you can either whip if you are making the dole whip, or just use it as is if you are making pops. I just made these and put them in the freezer. When I checked on them I noticed they separated and the juice liquid is on the bottom of the pop mold. Has this happened to anybody else? If I use cool whip, how much should I include? When you say 1 1/2 cups cream, are you talking about whipping cream? I would probably use the same amount 1 1/2 cups. This sounds fabulous – and easy! Yes I mixed it until whipped from liquid. I used heavy cream. Didn’t actually make that, but I whipped it until it was whipped cream. I use your recipes, posts and great health advice in my health coaching business. I love your content and how to help children be healthy. Thank you for all you do! Can I use yogurt ,regular or frozen? My granddaughter is lactose intolerant. You should always use canned coconut milk. The stuff in the cartoon has additives. Check the ingredients. It should say coconut and water. Nothing else. Or you can use an ice cube tray with toothpicks sticking out of each one for a handle….my kids love it!! I will totally love one of those pop makers every time I see you post pictures online makes me want one more and more where can I get one. If using coconut milk, should I whip that first? I would whip it up first, just like the cream! Can I use rice milk ????? Yes – in my experience rice milk is a little bit thinner than other milks, so it may not have the same creamy consistency, but it should work fine. Hi, I’m just a bit confused. Do I just use almond milk or should I do something to make the almond milk “whipped” ? Thank you! We’re looking forward to these! I’m confused a little, LOL. How many almonds do I put in my Zoku brand mixer (which is just the BEST BTW!) to make the almond milk? Zoju can handle ANYTHING! We don’t have a recipe for almond milk within this post. Sorry! I only made half a recipe and made 12 popsicles with some left over. I used a can of crushed pineapple and did need to add about a tablespoon of sugar to sweeten it but the popsicles turned out delicious. I may try straining the pineapples next time, though because the stringy texture was a little off-putting for my young kids. Overall, an easy and delicious treat that we will be making again!